"England flourishes under the hand of Elizabeth 1, last of the Tudor monarchs. But a great light casts great shadow. In hidden catacombs beneath London, a second queen holds court: Invidiana, ruler of faerie England, and a dark mirror to the glory above." This is a tale of two regal courts living side by side in uneasy peace, the court of Elizabeth 1 the last of the infamous Tudor dynasty and Queen of faerie England Invidiana who resides secretly beneath the streets of Elizabethan London in the Onyx Court. Lady Lune, after falling out of favour with Invidiana after failing to negotiable agreeable terms with the sea people, is sent to Elizabeth's court to spy on Elizabeth 1 spymaster, Walsingham. She disguises herself as a mortal when she ventures above ground and soon catches th eye of Michael Devin an agent of Walsingham. They become bound to one another in a way neither could envisage but they must stick together if they are both to live and ensure the survival of their peoples. Midnight Never Come is a really magical book. Straightaway I was completely immersed in the way of life in Elizabethan London and the faerie kingdom, Onyx Court. This was a book I just couldn't put down, it was full of intrigue, suspense and just a really well written book. What's really cool about this book is that a lot of the figures in this book were real historical figures such as Walsingham Elizabeth 1 right hand man and occult figure Dr John Dee. It's really well researched because of that it feels entirely believable that there could have been a faerie court ruling alongside Elizabeth's 1. Midnight Never Come is the first book in the Onyx Court series and I'm really looking forward to reading the next installments as Midnight Never Come could almost be a stand alone book so it will be really interesting to see what direction the series takes. 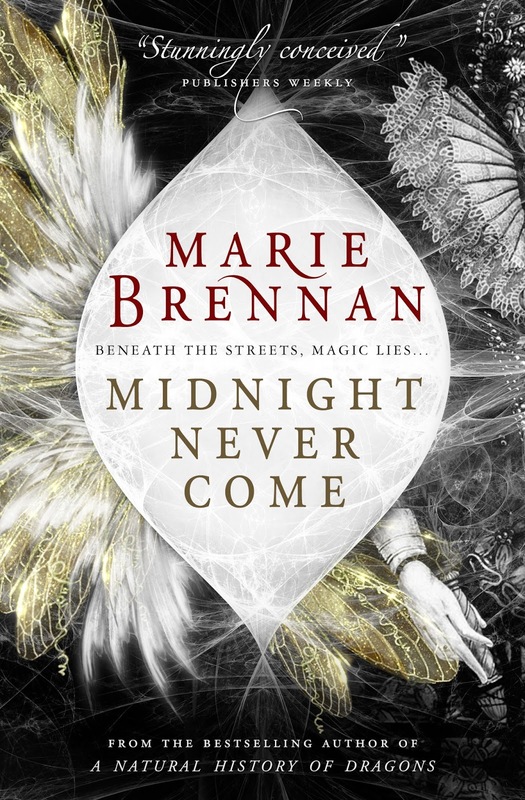 Marie Brennan, author of Midnight Never Come is better known for her bestselling fantasy series, The Memoirs of Lady Trent, a leading Dragon Naturalist. I've yet to read these but after reading this tale I will definitely be reading a lot more by Marie Brennan. This was a very unusual book, one that was a delight to read.